Igora Lucyna Opala is the solo visionary and artist behind the Igora Design label. 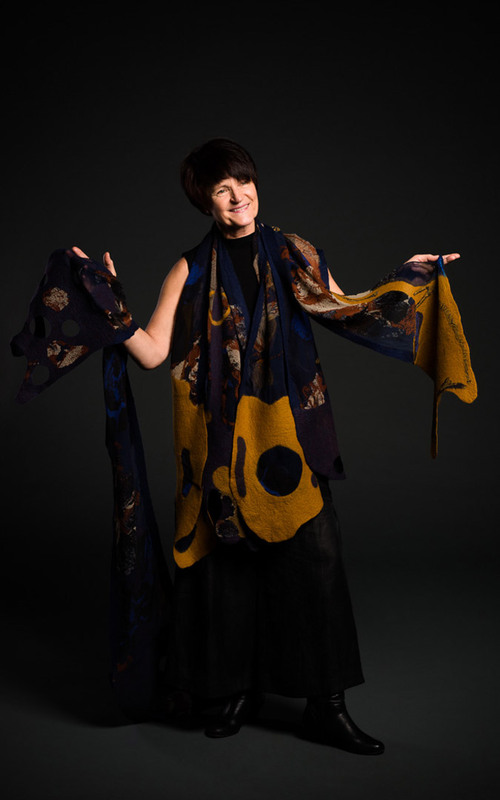 As a pioneering felt designer and fabric artist, Igora's diverse portfolio of creative work have been recognised not only in her home town of Adelaide, but also throughout Australia, USA, Europe and China. Igora highly regarded as an inspirational teacher, workshop facilitator, collaborator and award-winning artist. 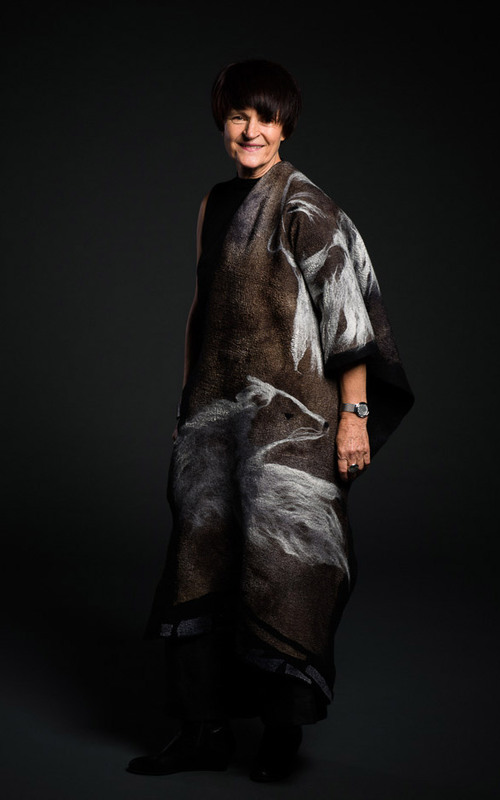 Inspired by her connection to nature and human spirit, Igora mastered the art of sharing stories and dreams through the fabric medium. Felt...a truly timeless textile & the ultimate in eco-chic. The ancient craft of felt making originates with the nomadic people of persia over 6,000 years ago. Felt is a versatile medium rich in nuances of colour and texture and form. The work of making felt, though demanding and considerable, is commonly described as magical and sensuous. The results are always a bit of a surprise. It can never be completely predicted or controlled what the fibers will do during the felting process. One’s own unique and creative philosophy creates the free-flowing, organic process necessary in instilling great depth and character in each piece. Most Igora Design pieces are made using hand-dyed Australian merino fleece, silk and assorted yards. The fleece is laid down by hand in overlapping tufts, wet down with soapy water and covered with bubble wrap. Over a period of time the wool is rubbed, rolled and massaged into shape; this process shrinking and matting the fibres together. The wool is then finally fulled. helping to bond the fibres and creating a strong felt. This method results on a finished product that is not only durable but flexible, maintains its shape, is water repellent, washable and eco-friendly. The search for hidden colours, forms and textures is the lure of eco printing. A Form of Art. Eco printing is essentially a direct contact printing method which draws out pigments from plants to make interesting and often surprising imprints on protein (silk, wool) fibres and cellulose (cotton, linen) fibres. Eco printing processes use plants as dye sources. Art, like science, reveals the invisible! Breaching the threshold between art and fashion and transcending trends and genres. Created exquisitely and painstakingly, every Igora Design item is impressed with attention to detail, emerging as true and viewed as fashion for the soul. Igora's unrivalled imagination and sophisticated arrangement of colour, texture and structure is transformed into distinctive collections and individual pieces. Whether you are looking for a statement scarf to add to your classic wardrobe or you are avant garde fashion enthusiast interested in dramatic capes and shawls to earmark your individuality. Her latest botanical collection includes silk tee shirts and tank tops of wearable art. Igora also creates impact pieces for the home in the form of wall hangings, luxurious throws and bed covers. Igora has something for you! Above all, it is heartfelt.